In the halls of the Colorado legislation the enthusiasm for a new Ban-the-Box law has reached fevered pitch and pundits are confident of its passage. Representative Leslie Herod, D-Denver, has put forth a bill, HB19-1025, that would ban the question of criminal background history from employment applications. Ban-the-Box laws tend to vary from state to state. In Nebraska there are concerns over their version of Ban-the-Box legislation, LB429. Erin Ebler-Rolf, an attorney testifying on behalf of the Lincoln Independent Business Association, said that with the bill, there was no difference between full-time, part-time and seasonal employees. And smaller businesses would fall under the bill even though they have more than 15 employees only at certain times. Almeida concludes: “Ultimately with every legislative conversation regarding Ban-the-Box laws, or any law related to employment screening, business owners and HR professionals should take note and ensure their policies are fully compliant by working with a third-party pre-employment background screening agency. 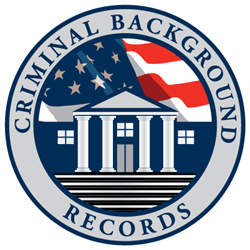 CriminalBackgroundRecords.com is a third-party employment screening agency with highly trained operators well versed in the needs and requirements of companies and organizations large and small utilizing public records, such as criminal background records, as part of a hiring process.